This is technically my third time doing eyebrow embroidery, so I’m not new to the whole Eyebrow Embroidery trend. 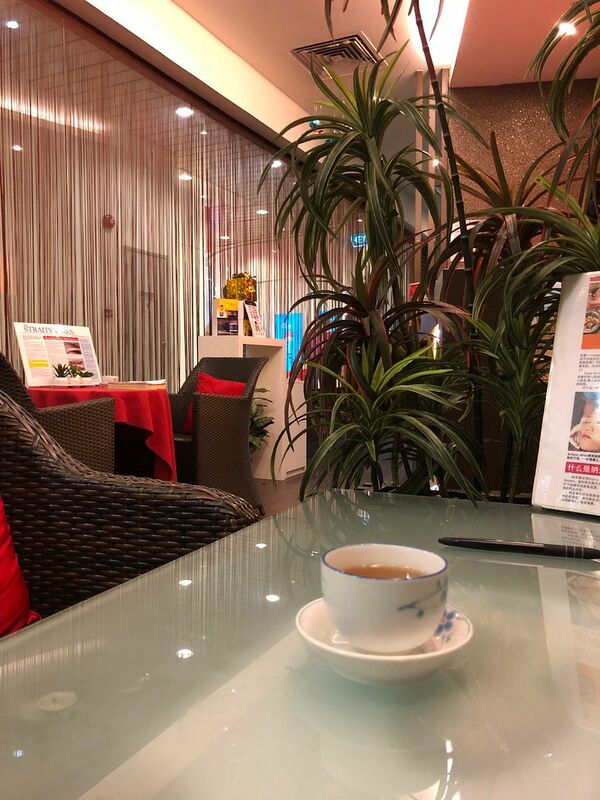 Yet this time round, I tried something new which is termed as wu mei. Apparently, the effect looks just like how you draw your eyebrows using an eyebrow pencil. 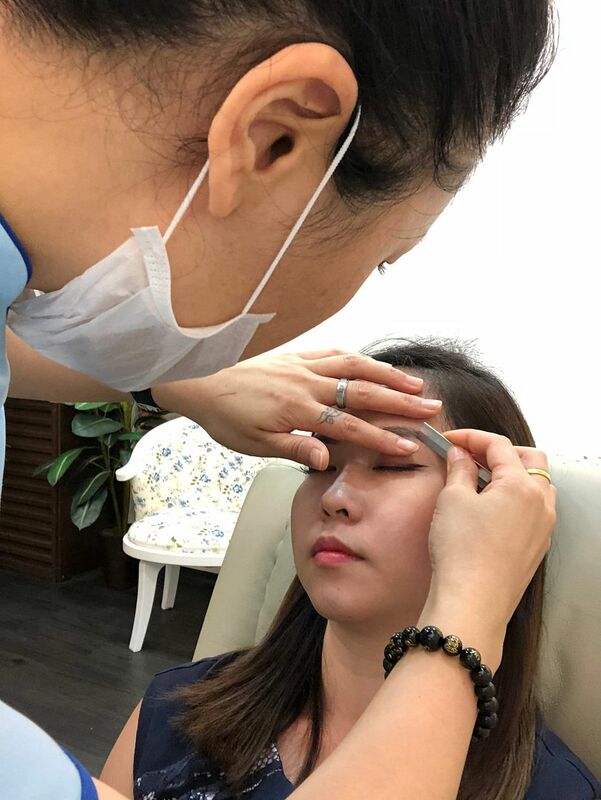 Read on to understand more about this eyebrow embroidery technique. 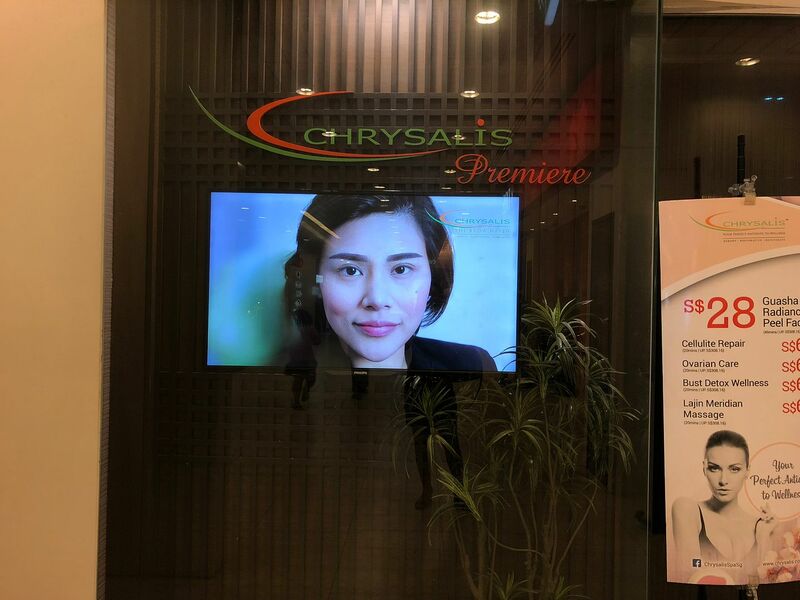 The place I did my Eyebrow Embroidery this time round was Chrysalis Spa Singapore. They have a few outlets in Singapore, but the one I went to was AMK Hub. This is how I usually draw my eyebrows, a little arch at the end. 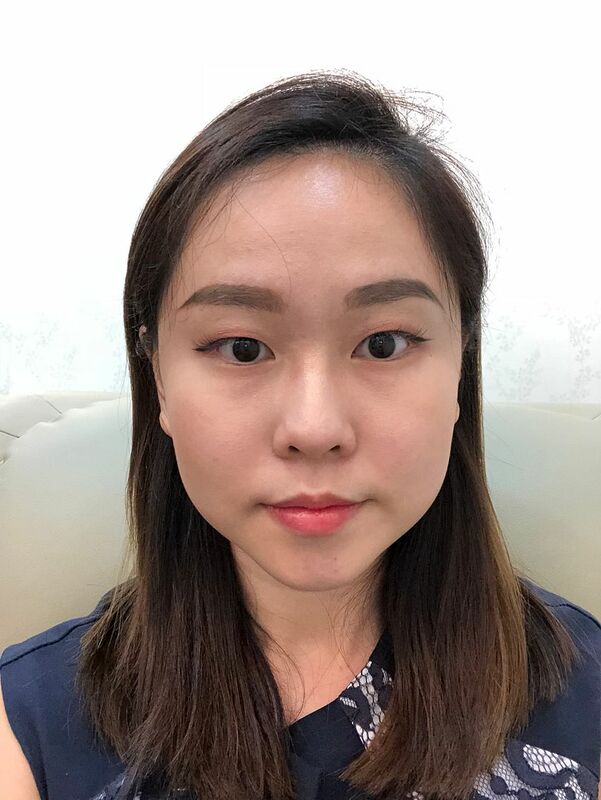 I consider my eyebrows slightly straight, but not entirely straight like those Korean eyebrows. 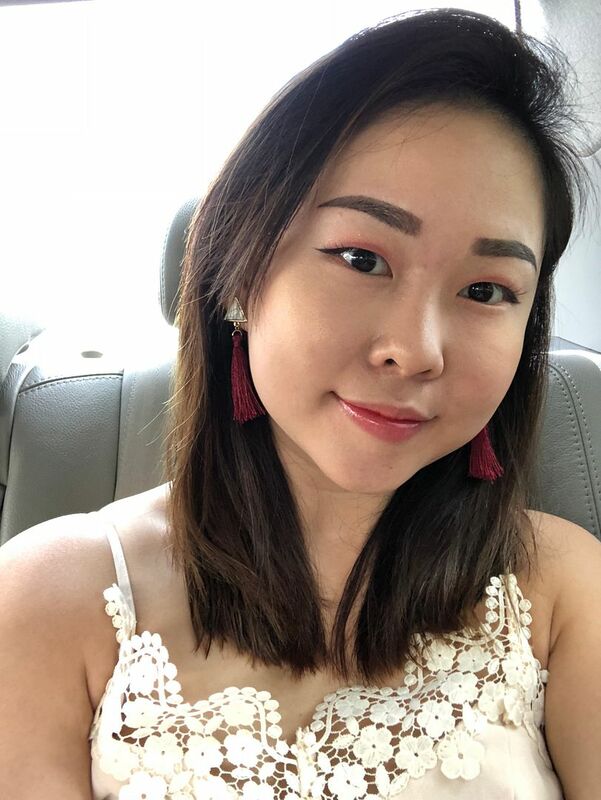 Gone are the days I can go out with my embroidered brows. They have faded too much. Plus, I have really little brow hair and I like my brows defined and long, hence I’m doing Eyebrow Embroidery for the third time. 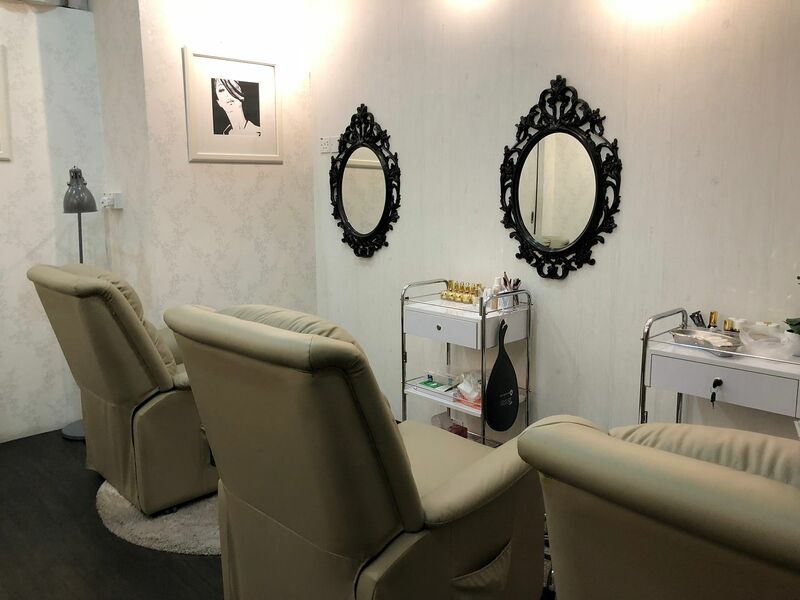 The area where I had my Eyebrow Embroidery done. It's generally clean and quiet here. 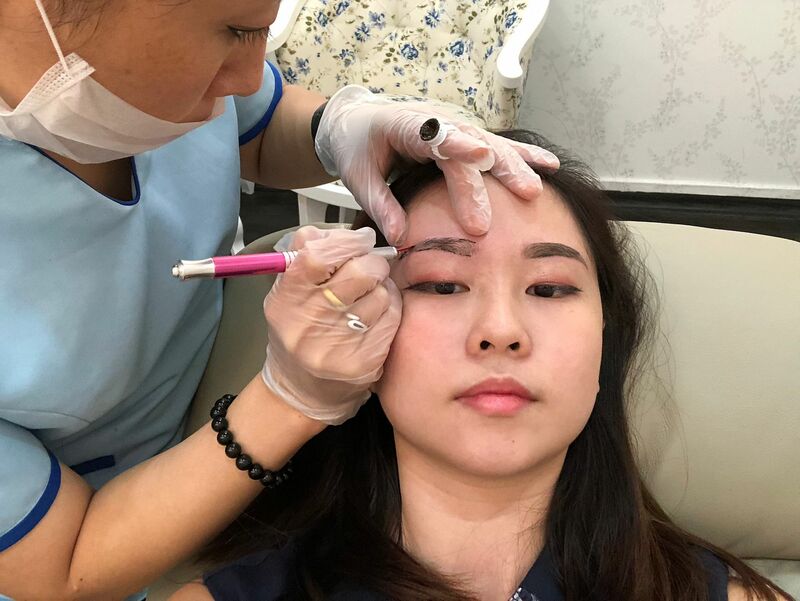 To start off the session, my brow artist had to first remove my brow makeup for me. She also did a little trimming, especially the hair that are growing out of the eyebrow shape. 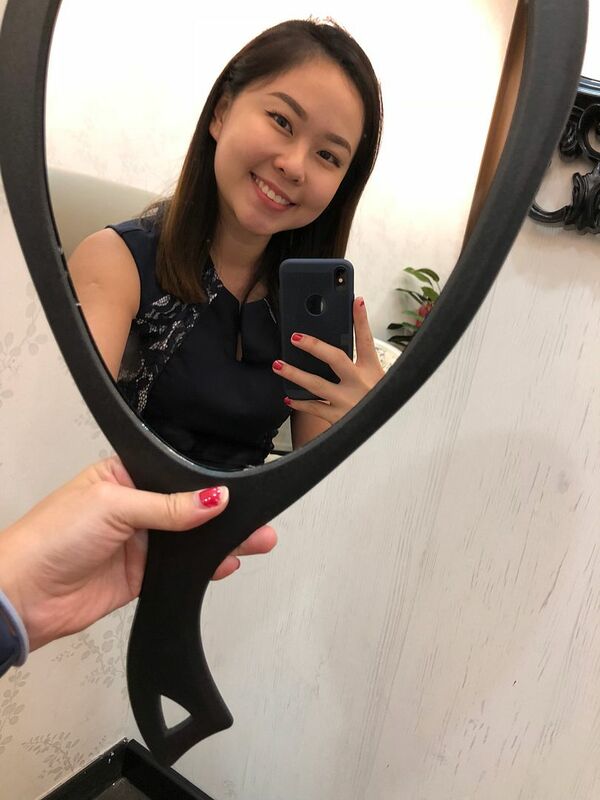 The next step is to find out the eyebrow shape that I desire. This takes a lot of patience and I would say my eyebrow artist did a tremendous job. 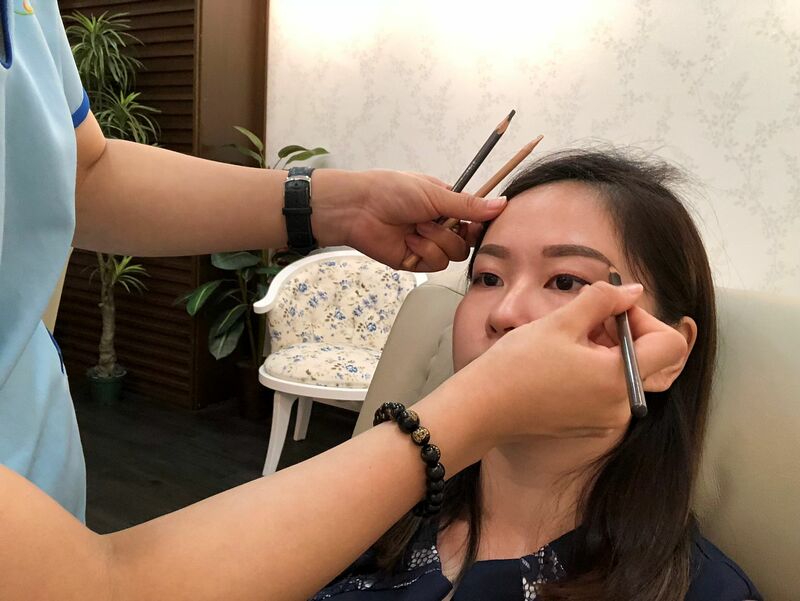 We went back and forth a few times to get my desired eyebrow shape. A general tip is to NEVER be afraid of voicing out. This eyebrow shape that she's doing for you will stay for at least a year, so if it happens to be something that you are uncomfortable with, do voice out and change. Don't wait until it's too late! 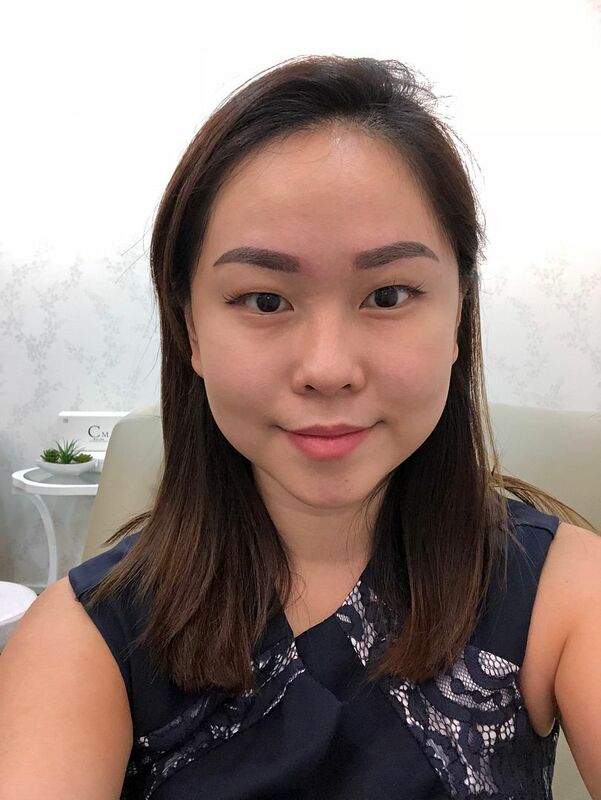 Overall, because my brow artist have a good 10 or more years of experience, it was not hard to communicate to her what I wanted. Things like "the tail to be longer" and "the arch to be higher" were mostly the case for me. 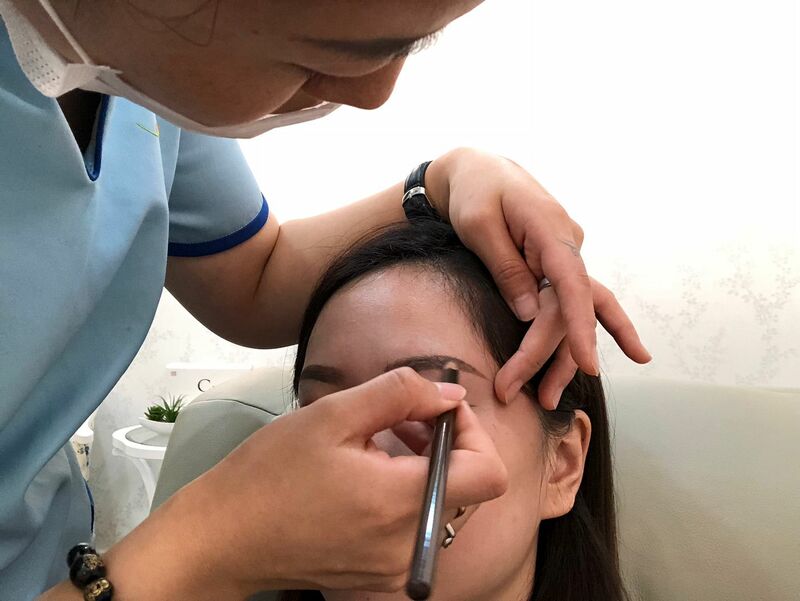 Took only about 10 mins to get my brows drawn and prepped for the Eyebrow Embroidery. Then it was time to apply the numbing cream. 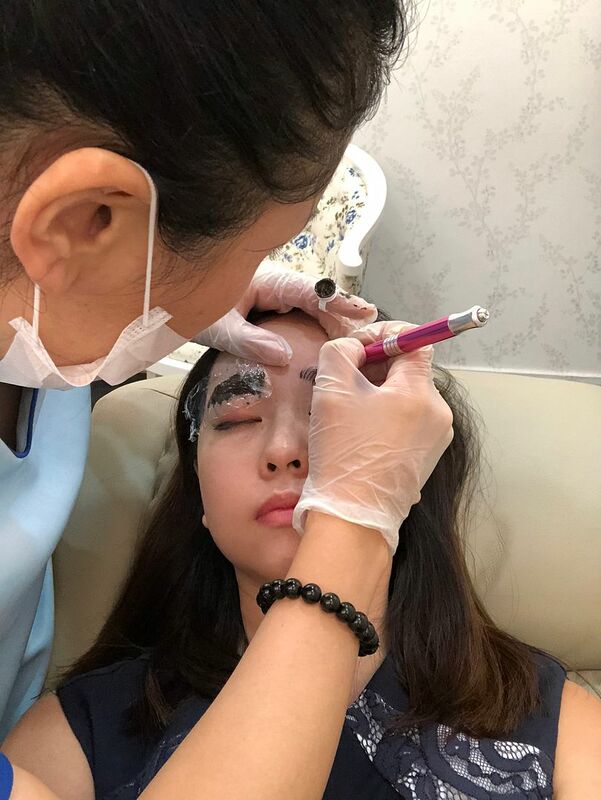 I was told that this numbing cream will not cause the lines to blur or smudge, so the eyebrow embroidery procedure immediately after the numbing effect kicks in. I believe I waited about 20-30mins for the numbing effect to start. I know myself very well that my skin is both thin and sensitive. I have done so many times of embroidery, I know I would definitely feel something even after applying numbing cream. So I wasn't surprised when I can feel a little bit of pain during the embroidery procedure. What really made the entire embroidery procedure less painful was how patient my brow artist was. When she noticed me showing little signs of pain, she would ask if it's painful. 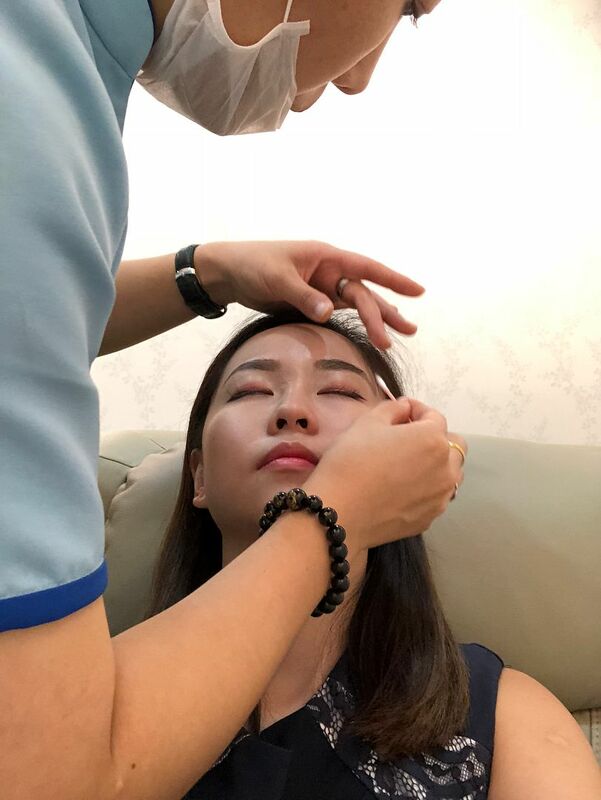 She will take the effort to apply more numbing cream when I start to feel pain (that's because the numbing effect has subside), and go on with the other side. Basically, she went alternate on both sides to save me from feeling pain. How dedicated! When it comes to pain level, it really depends on individual. 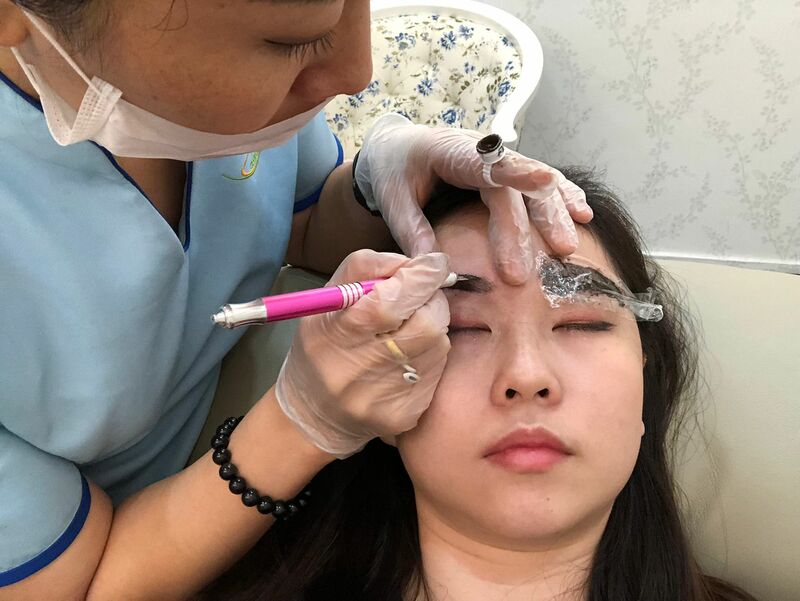 I once witnessed someone dozing off and snoring while having the eyebrow embroidery done too. For myself, I'll rate it a 3 out of 10 painful. 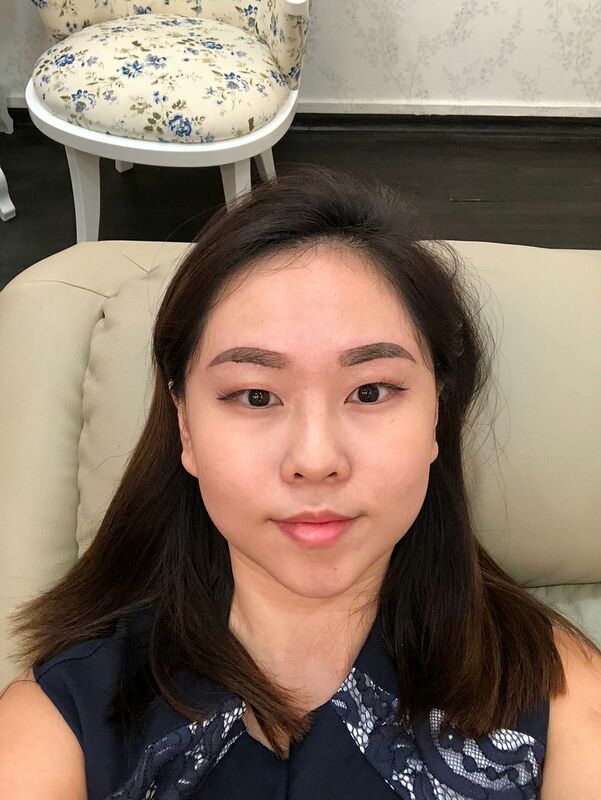 I told my brow artist that I wanted a natural eyebrow look. 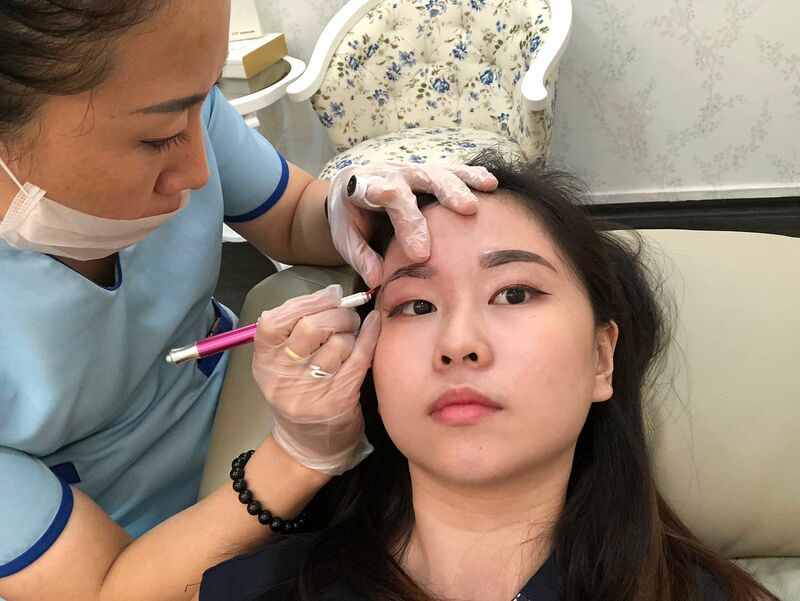 She had a look at my current brows with the past embroidery marks, and suggested that I do a combination of wu mei + strokes embroidery. At first I was completely clueless about the term wu mei. wu mei embroidery basically involves filling up the brows with the colour instead of strokes. But that sounds like eyebrow tattoo to you isn't it? That's why my brow artist added some 3D strokes, so that it looks natural. This combination is actually the best for those without much eyebrow hair. 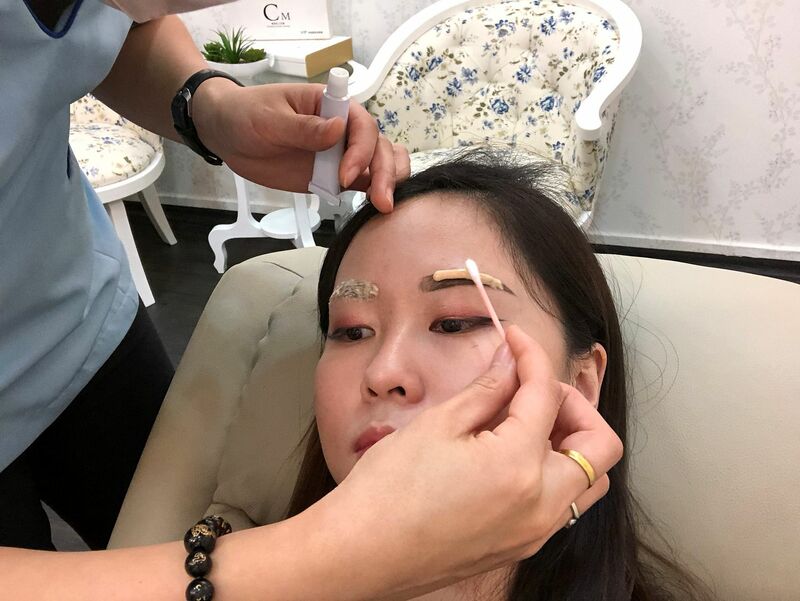 My personal experience is that Eyebrow Embroidery done using just strokes will actually look very sparse. 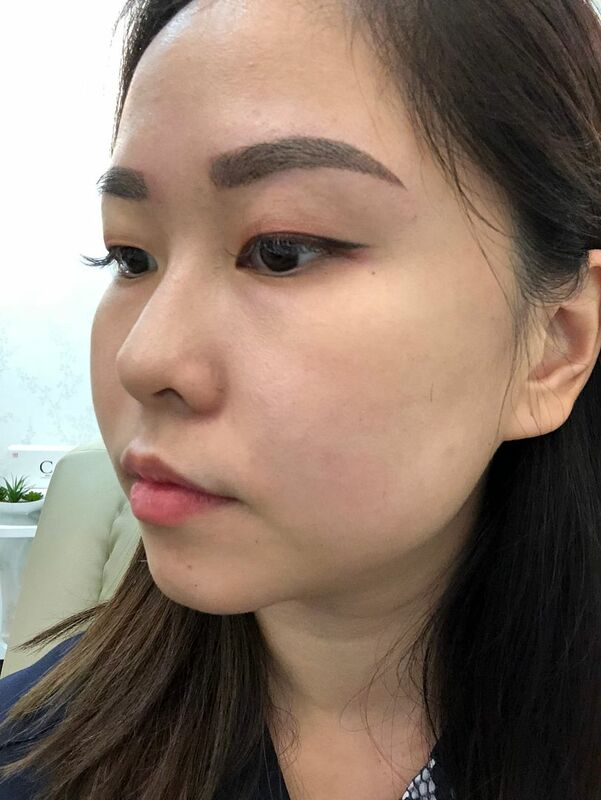 If you want some volume, you can consider using wu mei technique to fill in any empty space. The end results look perfect to me. 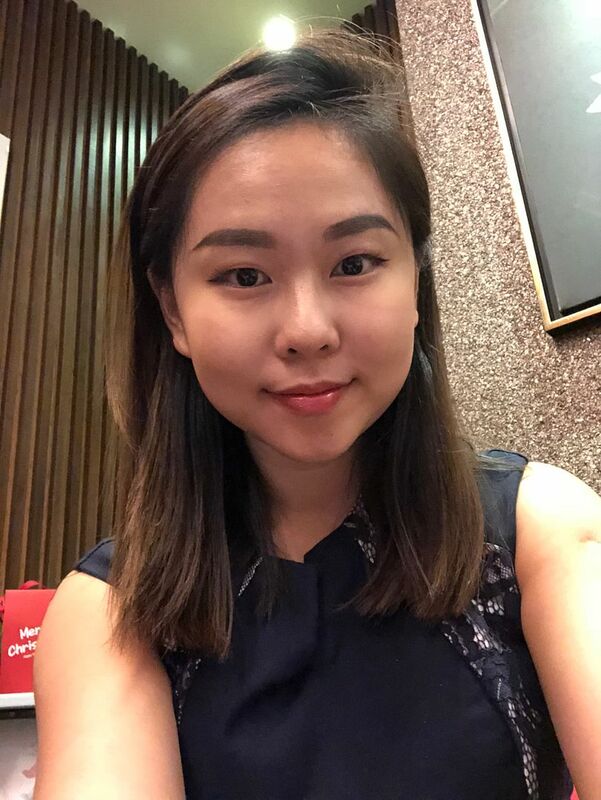 My worry at the start was unnecessary - just look at how natural my brows are. I still see strokes yet at the same time it's filled in enough, just like the way I would draw my eyebrows every single day. Basically, don't be afraid of touching the water. 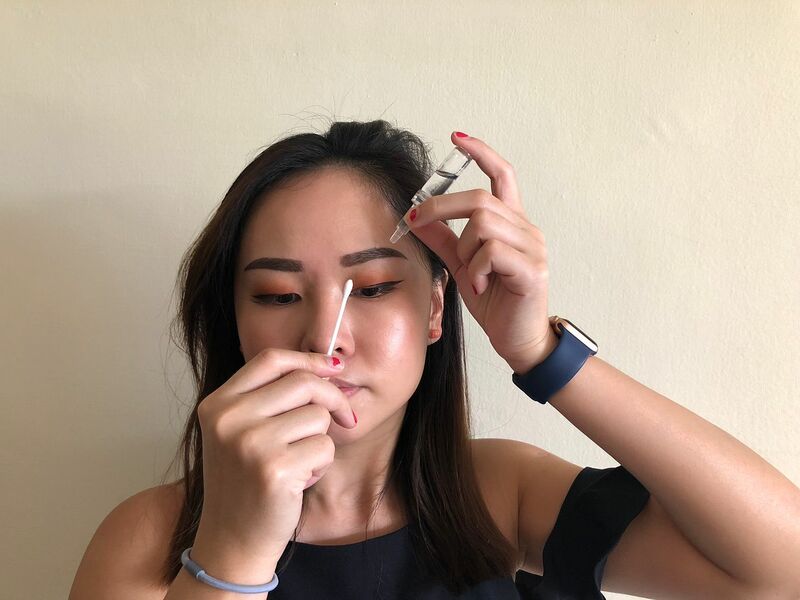 You just have to avoid the water for the first few hours, after that you can wash your face with water, but just lightly tap the eyebrow areas when drying. 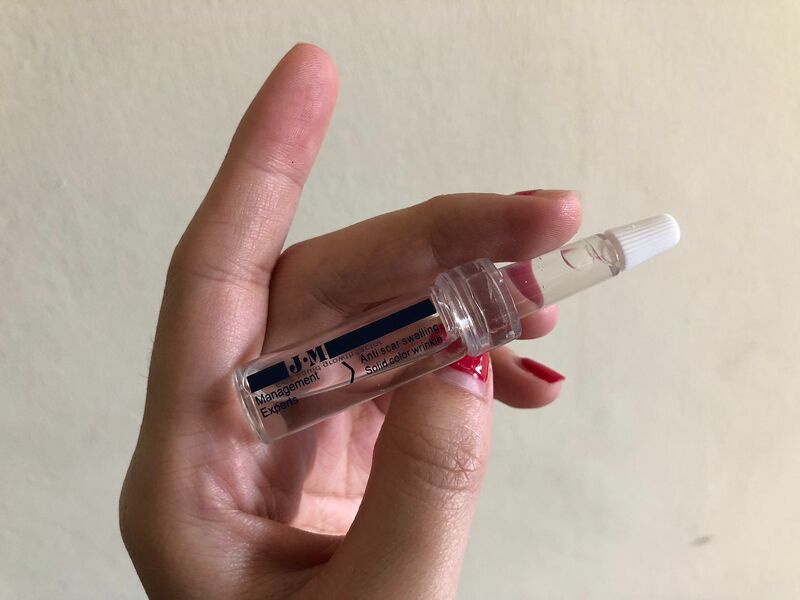 I use the eyebrow care serum given by them to keep the embroidery area hydrated. The longer the scabs take to drop, the more lasting the embroidery would be. This was about 2-3days later, where the scabs are still on. It looks very natural even before the scabs fall off! I am absolutely happy with my brows, it saves me so much time having to draw my brows every single day. 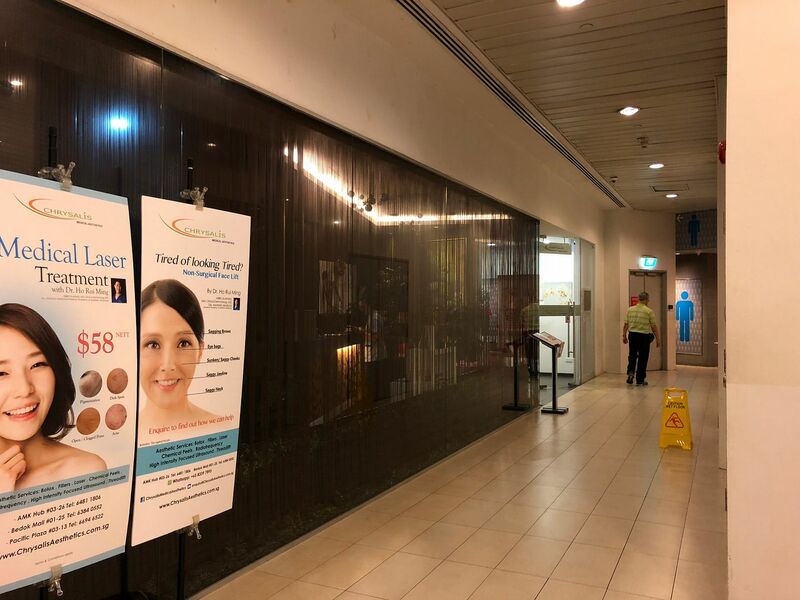 Quote at Chrysalis The Brow Haven™ – The Semi-Permanent Makeup Expert to enjoy Creative Eyebrow Embroidery at S$388 only (UP: S$1378.16)!